I bought a little Jaycar theremin in 2004. just a toy model, I used to play and own lot of instruments, at first this little theremin seemed it will be just one more bizarre device in my collection, but once I plugged in and started to move my hands in the air I flipped out, I spent all night playing it. I was absolutely enchanted. The spell on me was strong enough to go for the Moog Ew Standard in 2005 and finally for the Ew Pro in 2007, just right before the end of production of that model. As teenage fan of Sci-Fi and horror movies I remember that sound bewitched me , but it took me some years to discover what instrument produces that unique tone. It was during the 90’s that some facts converged and increased my interest for the theremin: the soundtracks of Ed Wood and Mars Attacks with the amazing theremin of Lydia Kavina, the revival of space age pop and some other mavericks from the past: Esquivel, Raymond Scott, the fist analog synths and somehow appeared the name of Leon theremin too (it was important that documentary “An Electronic Odyssey” where I discovered the figures of Lev Termen and Clara Rockmore), I remember also the books of “Incredible Strange Music” which included some pages about the theremin, as well as some alternative rock bands started to use theremins on scene (Man or Astroman, Jon Spencer Blus Explosion..) most of them produced simple noises but at that time it was still surprising. All those things finally forced me to find a theremin. As music fan and record collector I was overexposed during decades to tons of music, many different styles, ages etc. That’s the point that define me as musician, my approach to music as composer and performer it´s absolutely miscellaneous. Usually I try to erase the boundaries between music styles, but always tryin’ my own recipe, I don´t like to follow a predeterminate fusion. Of course not always I get satisfactory results, but it´s the search, the path of experimentation what rewarded me. The theremin is a poweful instrument in that descontextualize action because any genre played with that instrument sounds totally different as it is supposed to be. I like to fuse opposite flavours in my music, for instance I like industrial music and Exotica, but the final result sounds far from both extremes, it moves apart of everything indeed just because I think the theremin is a one-of-a-kind instrument that creates his own particular genre. 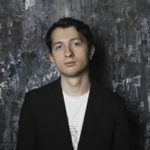 Well I think the theremin gained his own space and status in soundtrack field, it’s getting’ higher reputation again in classical music (with great composers like Kalevi Aho or Cristopher Tarnow that created amazing pieces for theremin). 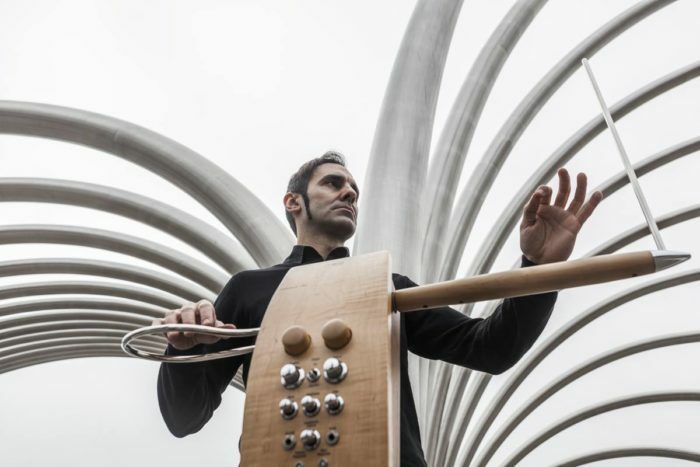 As instrument the theremin is popularizing more and more as the ultimate astonishing performance you have to see to believe (when the thereminist is really skilled, of course) in TV shows, concerts etc. That´s good but I think, now in the new millenium, the theremin have to move forward the standard concert for theremin or the standard record of theremin, I mean that classic format of a piano background (or any harmonic instrument) and a thereminist playing a quiet melody over it. 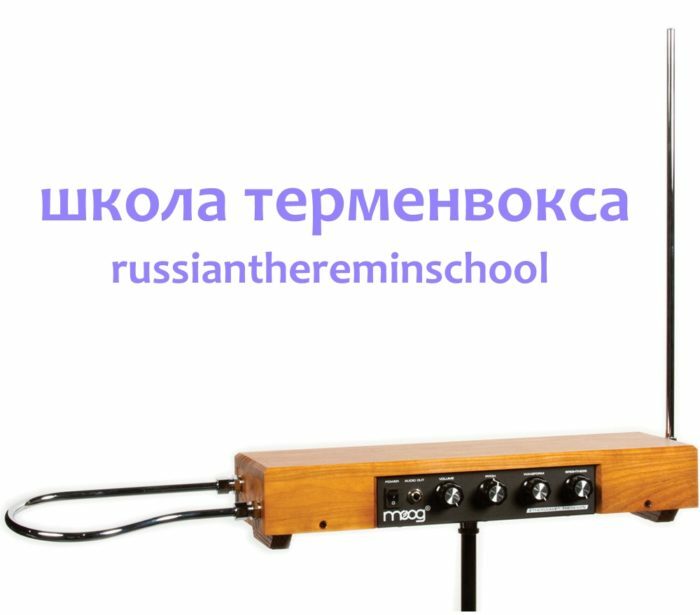 Today we have advanced theremin models with a pretty wide range, why don´t use it to play bass lines or percussive sounds or whatever you can imagine? why don´t use all those incredible possibilities the technolgy bring us nowadays: affordable DAW´s, MIDI interfaces, and such incredible collection of pedal effects that you couldn’t even imagine some years ago. 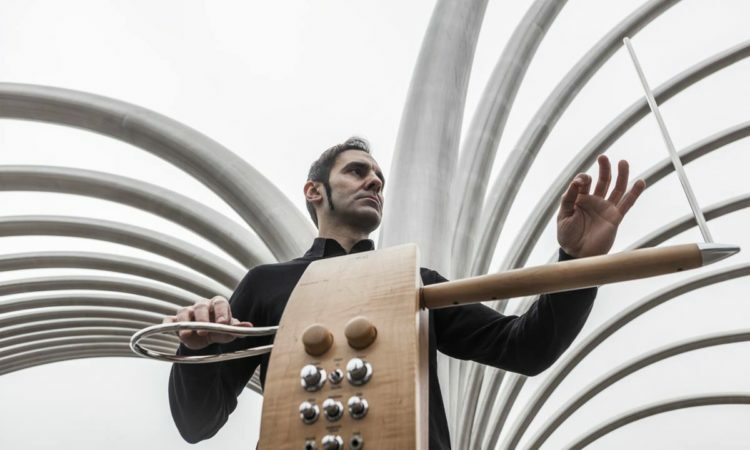 Few instruments boost his sound with effects like the theremin do. That´s a usual discussion, effects or no effects with the theremin? I think we have to overtake it, guitar players don´t suggest this question in decades, why among thereminists it’s still that prejudice? I think there’s too many rules about what a thereminist should play. For me there’s nothing to contribute playing another version of “The Swan” or “Vocalise”, many people have played it before, and much better than me. I prefer to compose my own music, construct my own world of sounds using pedals and loopers. It´s a risky adventure, specially playing live, every layer of theremin you add multiply the risk and the difficulty. Maybe it´s no so refined as other projects but I discovered in my tours that lot of people enjoy and appreciate my effort. Sometimes it seems there´s two separated words in theremin: in one hand we have the word of super-thereminists, that elite with that marvelous tecnique, always worried about the perfect tune and the superb performance and in the other hand we have that bunch of experimental thereminists, always concentrate on the texture of the sound, ignoring the melody, and usually focus only on improvisation. I try to pay attention to both worlds. I think I´m a mix of both sides. Moog it´s great, absolute reliable instruments, solid manufactured. Works in almost every circunstance. Specially the EW Pro, I love that instrument, amazing linearity, variety of sounds and wide range of octaves. Other manufacturer that I love is Subscope. One year ago I ordered and received a Subscope theremin, the Voicematic 120 model (released as a homage to Leon Theremin’s 120 th Birthday) and it was like love at first sight. Very nice tone, good linearity, great and sweet playability and a huge range of sound: with some adjusments you can get almost 7 octaves. It have some great features, specially a function called Velocity which let you play with lot of attack, great for staccato. Dominik Bednarz is a great professional and person. Well I would like to prove other manufactureers, specially Wavefront and of course the Tvox , so hard to find, almost imposible isn´t it? Of course I recommend to study, practice, get lessons and be patient. Don’t give up, the first year it’s really hard but it’s basic to learn the technique and (very important) learn how to tune your theremin properly. After that I recommend to listen a lot of music (of course listen to the greatest thereminists too) and finally let it go, be yourself, start your own way. Play as you feel and need, not what the people or the community expect from you or think you should play as theremin player.